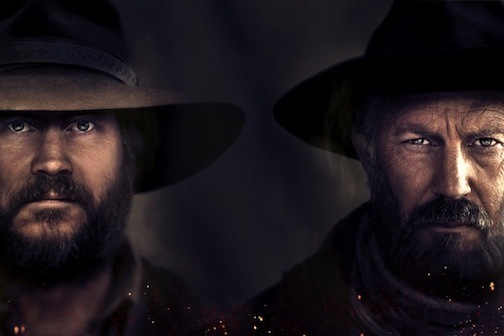 Bill Paxton, Kevin Costner of History network's Hatfields & McCoys. Never before had a single cable network topped the weekly national Nielsen ratings with not one, not two, but the three most-watched prime-time programs. That changed with last week's three chapters of the History network's Hatfields & McCoys, all of which outdrew the most-watched broadcast network offering. The timing was right, with the finales of Fox's American Idol and ABC's Dancing with the Stars out of the way before H&M launched on Memorial Day night. Still, this has never happened before in either the regular season or summer. The Wednesday May 30th conclusion of H&M ranked No. 1 for the week of May 28th to June 3rd with 14.287 million total viewers. Part 1 was second with 13.866 million viewers and Part 2 came in third with 13.127 viewers. The No. 4 program for the week, NBC's America's Got Talent, had 11.513 million viewers, with ESPN's Sunday night Game 4 of the Heat-Celtics Eastern Conference finals ranking No. 5 with 11.068 million viewers. That's a major breakthrough for cable and another blow to the Big 4 broadcast networks, which might want to seriously consider a return to some "Event" miniseries programming of old in hopes of stemming the tide. Western Civic felled by another kidney punch -- Spike TV announced Tuesday that it's ready for the "Mayan interpretation of the Apocalypse," which currently is scheduled for December 21st in case you'd like to start stockpiling cans of indestructible lima beans. The network's six-episode Last Family On Earth, scheduled for this fall, will reward the winners with an underground bunker built by Vivos, supposedly the world leader in this area. Spike says the finale will air "just in time for the family to move into their bunker." A publicity release hailing the new show is headlined, "Will Spike TV's New Reality Series . . . Determine The Future of Mankind?" Probably not. But the way things are going in this country, the election of Mitt Romney or re-election of President Obama will be seen as a cataclysmic event by most of those on the losing side. So Spike TV may be on the cutting edge even if the End of Days fails to keep its appointed date. First Lady reads Letterman's Top 10 List -- Mitt Romney did it earlier this year. And on the Tuesday, June 5th edition of Late Show with David Letterman, First Lady Michelle Obama did the Top 10 list in connection with her new gardening book. CBS sent a few samples ahead of time, including No. 7 ("In his lifetime, the average American will eat half a radish") and No. 5 ("Later this year, the Supreme Court will finally rule on 'tomato' vs. 'tomahto' "). Romney's topic was the "Top 10 things Mitt Romney would like to say to the American people." Included: "What's up, gangstas, it 's the M-i-double tizzle."